A broad coalition of trade unions, anti-poverty campaigners, churches and NGOs has come together to oppose the G8's agenda of neoliberalism and war. Organisers estimate that up to 100,000 protesters will converge on the city. The movement has been galvanised after police raids on protesters two weeks ago triggered a wave of spontaneous protests. Now the media is full of stories about the German police intercepting letters to activists and using sniffer dogs to identify them in crowds – tactics associated with the Stasi, the former secret police of East Germany. The policing operation at Rostock involves building a 12 kilometre long "security wall" around the venue – another move that has not gone down well in the former East Germany, where popular revolts brought down the hated Berlin Wall in 1989. Germany's right wing chancellor Angela Merkel had sought to emulate Tony Blair's strategy two years ago by using the G8 summit to boost her credentials over issues such as climate change and tackling world poverty. Now it looks as though the climate change deal has been scuppered – and people are increasingly questioning her over the issue of poverty. A widespread sense of disillusion at Germany's "grand coalition" government, which involves both the right wing Christian Democrats and the centre left Socialist Party (SPD) is fueling the protests. This disillusion is now coupled with increasing public anger at Germany's role in the "war on terror". Under pressure from Nato, German Tornado fighter jets have been sent to the south of Afghanistan to provide "technical assistance" for US bombing raids. These shifts all come at a time when the government is already unpopular for ramming through neoliberal economic "reforms" such as raising the retirement age from 65 to 67 and slashing corporation tax by 10 percent. One indication of the prevailing left wing mood in Germany is the high level of public support – 77 percent according to polls – for striking Deutsche Telekom workers. Some 15,000 telecoms workers are now in their third week of industrial action against plans to outsource 50,000 jobs and slash wages by up to 20 percent. This support comes despite a massive propaganda drive from Deutsche Telekom bosses. Germany's economy is booming, with the largest growth rates since 1992 and record-breaking corporate profits. Yet real wages are dropping. Outsourcing jobs has become a common tactic. The number of people working in temporary agency jobs has soared as companies such as Daimler Chrysler and Siemens sacked workers and rehired them on new contracts. The influential weekly news magazine Der Spiegel describes the Deutsche Telekom strike as a battle whose outcome will determine the relationship between bosses and workers for years to come. It is the country's first major strike against the neoliberal corporate restructuring. This has led to a huge crisis in the SPD. A recent poll suggested that 58 percent of SPD members think the party has betrayed its principles by joining the grand coalition. Around a third are thinking of leaving – and 9 percent are considering joining Die Linke, the new left wing party. That's 50,000 potential new members for Die Linke, which will be formally launched as a unified party later this month. It follows a series of strong election showings, and the party has also been active in building solidarity for telecom workers. But the biggest new development is the peace movement. We are planning a huge national demonstration in September against the decision to send German troops to Afghanistan. It is the issue with the greatest chance of splitting the grand coalition – around one third of SPD and Green MPs voted against sending in the Tornados. That decision reversed a longstanding SPD policy of bringing in neoliberal economic measures, but maintaining a degree of popularity by keeping Germany out of the wars in Iraq and Afghanistan. The movement's main challenges are to get as many people to Rostock as possible and to make the politics of the protest visible – in particular, we need to make the anti-war message central to the demonstrations. This could be the springboard for three things – bringing together traditional trade union militants with younger people with an internationalist outlook, reviving the anti-war movement across Germany over the Afghanistan issue, and building Die Linke as a radical alternative to the discredited policies of the SPD. Filipino unionist fears for his life Supermarket distribution workers have walked out in support of a Filipino trade unionist who had just learnt that his life or freedom is at risk for protesting against the Filipino President in New Zealand, says the National Distribution Union (NDU). Filipino trade union leader and spokesperson of the “Free Ka Bel Movement” Dennis Maga was calling his one year old son Elijah to say happy birthday when he learnt that his house was under surveillance by police and that he faces arrest on his return on Sunday. Mr Maga was invited by the NDU and Unite Union to talk to workers about the repression and killings of trade unionists, journalists and church leaders by the Filipino military and police. His visit coincided with a visit by the Filipino President Gloria Arroyo. Two-hundred previously locked out NDU Progressive distribution workers gave Mr Maga a standing ovation and walked out to mount a spontaneous show of solidarity on the same spot where they held their pickets last year. NDU site delegate Daniel Patea said that Filipino workers and unions had supported the locked out workers. “Filipino workers helped us when we struggled during our lockout last year and so giving support to Dennis who faces arrest and even assassination is the least we could do.” Mr Maga says that reliable sources have confirmed that he will be arrested or worse if he returns. “President Arroyo has told Helen Clark, your government and the interfaith dialogue that she is addressing human rights violations in our country,” he says. “But here I am, facing arrest for simply exposing the continuing abuses by our military and police.” The NDU and the Council of Trade Unions will be asking Helen Clark to get assurances from President Arroyo that he will not be arrested. On behalf of Socialist Voice we congratulate you for your call for revolutionary socialists to focus on the stirring events in Venezuela. We agree with your assessment that this revolution is “an historic opportunity for socialists everywhere to spotlight a real-life alternative” to capitalism, which may promote a revival in the revolutionary socialist movement internationally. As you say, if the Venezuelan revolution continues to advance, it will contribute to a reshaping of the socialist and labour movements everywhere. We look forward to working together with you and with other currents from diverse political backgrounds in this process. Socialist Voice (http://www.socialistvoice.ca/), a Web publication founded in 2004, is based in Canada and circulated internationally. We have a board of 15 editorial contributors, including comrades in the U.S., Britain, and Nicaragua. We are diverse in our ages and background . Many of us were previously members of the sister organization in Canada of the Socialist Workers Party (U.S.) at varying times over the past 40 years. In Canada, most of our contributing editors are active in the key political rights movements--antiwar, anti-Zionist, Cuba and Venezuela solidarity, and Haiti solidarity movements, mostly in Vancouver and Toronto. A small number of us are active trade unionists as well. We have held two educational conferences in Vancouver: the most recent, in March, drew 70 participants. We are planning to attend the October 11 to 14 Latin American and Asia Pacific International Solidarity Forum in Australia. One of us, Roger Annis, hopes to visit New Zealand following the conference. This would provide an opportunity to discuss with you directly. Thank you very much for your statement of 1 May 2007, ‘Venezuela’s Deepening Revolution and International Socialist Coordination’. We have, as requested, circulated it to the IS Tendency (as we are also circulating this letter). You raise two issues, first, the significance for revolutionary socialists of the revolutionary processes in Venezuela and Bolivia, and the proposal made by the Central Committee of the Socialist Workers Party (Britain) that the IST at its annual meeting in July establish a smaller coordinating body. In both cases, you either imply or assert, there are disagreements between our two organizations. We think you may be right, though we are not clear how significant they are. Venezuela – a ‘non-topic’ for the SWP? Is the unfolding Venezuelan revolution the most important leap forward for the workers’ cause since the 1917 Bolshevik Revolution? 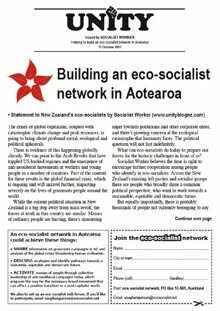 The answer from the delegates at Socialist Worker-New Zealand recent national conference was a unanimous ‘yes’. The masses in Venezuela are behind a genuinely revolutionary project in a way that has not occurred in the last 90 years. While nothing is certain, this could well create the mass impetus for a huge revival in the international revolutionary socialist movement. At present, there seem to be real differences between IST affiliates over the nature of what is happening in Venezuela. At one end of the IST spectrum, Socialist Worker-New Zealand see Chávez & Co as being at the centre of the most important ‘revolution in the revolution’ since the Bolsheviks proclaimed ‘All Power to the Soviets’ in 1917 Russia. At the other end of the IST spectrum, the Venezuelan revolution was a ‘non-topic’ in the official discussion bulletins of the British Socialist Workers Party in the lead-up to their national conference in January 2007. Of course, there is much more to be said about Venezuela and Bolivia, and we have tried to say some of it, notably in our publications. Anyone who consults on the web the back-issues of Socialist Worker, Socialist Review, and International Socialism could not but be struck by the extent of our coverage of the major developments in these two countries over the past few years. Moreover, among the main memories that participants in Marxism 2006 would have taken away was the impact of the Latin American speakers, notably Roland Dennis from Venezuela and Oscar Oliveira from Bolivia. We hope to continue this at Marxism 2007 in London in July with the participation of the Venezuelan Trotskyist trade union leader, Stalin Perez, who has spoken at the Greek SWP’s own Marxism event in 2006 and 2007. But we haven’t just written and spoken about Bolivia and Venezuela. One of the main ways in which the IST has developed since the emergence of the anti-capitalist movement at Seattle has been the interventions we have made at the various Social Forums. The biggest we have made to date in a World Social Forum was at the ‘polycentric’ event in Caracas in January 2006. This didn’t just involve the comrades who went in considerable discussion and cooperation with Venezuelan activists, as can be gleaned from the extensive reports in Socialist Worker and Socialist Review: two leading IST members, Petros Constantinou (Greece) and Chris Nineham (Britain), took part in a delegation of the international anti-war movement that had a lengthy meeting with Hugo Chávez. No doubt we could have done more and better, but this record hardly suggests Venezuela is a ‘non-topic’ for the SWP or indeed other IST organizations. Having got this red herring out of the way, let’s consider whether there are more substantive political disagreements that separate us. To begin with, is what’s happening in Venezuela ‘the most important “revolution in the revolution”’ since October 1917? Bigger than Germany 1918-23, Spain 1936, Hungary 1956, France May 1968, Portugal 1975-6, Poland 1980-1? All of these were defeated, you might say, but then, as you note, the outcome of the revolutionary process in Venezuela is uncertain: it too might be defeated, though we hope and strive to ensure that it won’t. Moreover, in all the episodes we have just listed organized and – more important – self-organized workers played a central role, while you acknowledge that it is a ‘weakness’ that ‘organized workers’ in Venezuela are not yet ‘in the forefront of the revolution’. We don’t need problematic comparisons with October 1917 to get a full measure of the significance of what’s under way in Venezuela. The unsuccessful coup in April 2002 unleashed an unfinished process of radicalization driven by the interplay between Chávez and the movement from below, which have become progressively more dependent on one another. Even at the present stage where, as you acknowledge, no decisive break with capitalism has yet been made either politically or economically, this development is of enormous ideological significance for the reasons given in our document cited above – first, the movements in Venezuela and Bolivia have gone beyond simply resisting neoliberalism to seeking to construct alternatives; and, second, Chávez, in embracing socialism and drawing on a range of radical thinkers from Chomsky to Trotsky has helped to legitimize systemic critiques of capitalism itself and not merely opposition to some of its more unpleasant features. All of this is more than enough to justify defending Chávez and giving solidarity to the movement in Venezuela, as we have quite consistently since the 2002 coup. But it is important to add two qualifications to this. First, as we put it in our ‘International Perspectives 2005’, ‘if the movements are most advanced in Latin America, the most important front in the struggle against US imperialism is in Iraq.’ It is the resistance in Iraq that is in the process of inflicting the most serious defeat American imperialism has suffered since the Vietnam War. By tying down the Pentagon’s military machine in Iraq, the resistance has made a decisive contribution to creating the space that has allowed the resistance in Latin America to develop and, in the cases of Venezuela and Bolivia, to develop a more explicitly anti-capitalist dynamic. Therefore we believe that the most important single internationalist task of revolutionaries today is to build the international movement against the ‘war on terrorism’. Defeating the Bush administration’s imperialist offensive is critical to the success of every struggle against neoliberalism and capitalism, including those in Venezuela and Bolivia. This is particularly important for revolutionaries in the advanced capitalist world since it gives a task that relates directly to the politics of our own societies rather than merely leave us to cheerlead for Latin American revolutions. Secondly, the revolutionary process in Venezuela is, as we have said, ‘unfinished’. By this we mean, not simply that what you rightly call ‘the existing capitalist state’ in Venezuela has yet to be smashed, but that the Bolivarian Revolution is itself ideologically unfinished. You write: ‘While Chávez & Co started from a radical reformist viewpoint, the unfolding class struggle has pushed them towards a socialist perspective which is now assuming ever-sharper mass revolutionary features.’ It is undoubtedly true that the logic of Chávez’s situation, where his political and personal survival has depended on stimulating and sustaining mass movements from below, has encouraged a journey of intellectual discovery that seems entirely genuine. But you overstate the coherence and stability of the outcome, for example, in the significance of you attach to Chávez’s ‘calling himself a Trotskyist’. Chávez says a lot of things. For example, in a broadcast on 22 April he said: ‘I cannot be classified as a Trotskyist, no, but I tend towards that, because I respect very much the thoughts of Leon Trotsky, and the more I respect him the more I understand him better. The permanent revolution for instance, is an extremely important thesis. We must read, we must study, all of us, nobody here can think he already knows.’ He went on to praise the Transitional Programme. But exciting though such remarks may be for Trotskyists confined to the political margins for two generations, it doesn’t alter the fact that he presides over a bureaucratic state machine that continues to sustain capitalist social relations against the mass movements on which any real revolutionary breakthrough depends. Hence the constant balancing act between the state and the mass movements that he is constantly forced into. Chávez’s way out of this trap seems to be the formation of the United Socialist Party of Venezuela (PSUV). You say: ‘While the initiative for the PSUV came from Chávez, it will be built “from below”’. This isn’t really the picture we have from Venezuela. What we read and hear about are activists complaining about the top-down pressures on different elements of the left to join up. For example, the Trotskyist leadership of the UNT (National Workers Union), after initially resisting these pressures, have decided to integrate their federation into the PSUV, but more for tactical reasons than out of principled agreement with Chávez’s project. Whether or not forming the PSUV is the right step is something over which revolutionaries can legitimately differ. But surely we can agree that a genuinely united mass party of the left can only emerge from an organic process of debate. Any forced merger can only increase the danger that the PSUV will become a bureaucratic transmission belt for the government. The call for a united socialist party is popular with many activists sick of the careerism, opportunism and jockeying for position of the three main parliamentary Chávista parties (MVR, Podemos and PPT). But it cannot provide an answer to the chaos because it will reflect in itself all the contradictory attitudes within the Chávista ranks. A party, in the real meaning of the term, is an organised current of people committed to a single political orientation. Chávism contains three such currents at present. There are those who want 'consolidation' through a cessation of any further threats to the privileges of capital and the upper classes; those who hanker after a Cuban-style authoritarian regime (at the very time that powerful forces in the Cuban regime are hankering after a replica of the Chinese approach, combining authoritarianism and the market); and those who want a thoroughgoing social transformation, the destruction of capitalism and genuine revolutionary democracy involving mass participation. The attempt to combine in a single organisation what are effectively three different parties cannot overcome the chaos. All these three dimensions of closer engagement with the Bolivarian Revolution are important and should be pursued simultaneously. But it won’t help in all this to make exaggerated claims about the extent and coherence of Chávez & Co’s move in a decisively revolutionary direction. This isn’t a matter of chucking sectarian brickbats at Chávez for not having accepted the Comintern’s 21 conditions or whatever. We think our record of championing the movements in Venezuela and Bolivia speaks for itself. But serious political dialogue with our comrades in these countries by ignoring the unevenness, inconsistencies, and limitations in what has been achieved there. We agree that the IST should be ‘focused outwards’. Indeed, we think that the Tendency is doing exactly this. Without rehearsing all the detailed arguments we have made in the past few years, the SWP in particular has argued that Seattle opened a new period of anti-capitalist struggle that has created major opportunities to renew the revolutionary and radical left. We have accordingly been pursuing dialogue with other currents and exploring the possibilities of regroupment on a very extensive scale. We have participated in the last World Congress of the Fourth International in and the DSP’s Africa-Asia International Solidarity Conference, and have made considerable efforts to develop better understanding and contact with the far left in Latin America and South Asia. This has produced much closer relationships with some of the key organizations of the radical left internationally – for example, the LCR in France, the Left Bloc in Portugal, the Red Green Alliance in Denmark, and PSOL in Brazil. In line with these closer relations the organizations just mentioned have all sent delegates to the open sessions that have become a regular feature of IST meetings. Moreover, because we reject a rigid distinction between political parties and social movements, we see all our work in the anti-capitalist movement, and especially our interventions in Social Forums and the Cairo Conferences, as part of this same process of renewal and regroupment. But, as our domestic experience has demonstrated, positively with Respect and more negatively with the Socialist Alliance and the Scottish Socialist Party, this process involves opening out to more than the established revolutionary left. The case of the WASG in Germany demonstrates more spectacularly that elements of social democracy can, in the present period, be won to working with revolutionaries. But we have still to get the full measure of the potential for cooperation and debates with some elements of political Islam. Any such ‘selection’ would leave non-selected IST groups on the margins of IST decision-making, given the tyranny of distance over a global coalition like the IST. It would fix the bureaucratic curse of the initiating ‘centre’ and the non-initiating ‘periphery’ on the IST. Why can’t every IST affiliate have one representative on the IST Coordination? With modern communications technology, face-to-face meetings in London can be replaced by extremely cheap ’virtual’ meetings that link all continents. The simple answer to your question is that a Coordination consisting of every group would be no Coordination at all. The IST has a very simple structure. It consists of organizations sharing a common tradition and approach to revolutionary politics. Its meetings are devoted largely to political discussions, with very few decisions being made. These decisions are normally taken by consensus: the only real exception was the exclusion of the ISO (US) in 2001, which followed the ISO intervening to help to engineer a split in our Greek sister organization, SEK. Rather ironically, for many years the IST structure has resembled the horizontal, consensual style of organization favoured by the autonomists. We have preferred this way of working not out of principle, but because we have felt that a minimal structure fitted our needs and avoided the Comintern-like pretensions of the FI and the like. But, as we have learned in the anti-capitalist movement, very flat structures require someone to coordinate them. The British SWP has played this role, partly because it has far greater resources and partly because of the political authority its leadership has enjoyed in the Tendency. On the whole, this setup has worked pretty well. We are, however, beginning to think that it may be nearing its sell-by date. This is partly because leaderships that have emerged elsewhere in the world (including outside the advanced capitalist countries) that have enjoyed significant successes in building their own organizations and broader movements. Moreover, thanks particularly to our interventions in the anti-capitalist and anti-war movements, we have begun to build up significant experience of working together on an international base. To that extent, an international leadership of the IST that is broader than the SWP is already developing. What we are suggesting is simply to formalize things a little by setting up a small Coordination consisting of organizations chosen by the IST meeting that would take on the work of orchestrating our international interventions and addressing problems in specific groups that is currently undertaken by the SWP leadership. Having instead a Coordination consisting of all the groups, as you propose, may be technically feasible but it doesn’t address the real need, which is for a international working group that would meet, really or virtually, several times to address the issues outlined above. A Coordination of thirty-odd groups would simply be another plenary IST meeting, and less useful than the current one because the demands of virtual communication would probably restrict the time available for in-depth discussion. We don’t share your fears that the kind of Coordination we propose would be a ‘bureaucratic curse’ that would reduce ‘peripheral’ groups to passivity. For one thing, we don’t accept the distinction between centre and periphery: in our view, among the most important IST groups are some very distant geographically from London. For another, since the IST is a voluntary association of groups with common politics, decisions of the Coordination could only bind groups if they agreed to accept them. Probably the biggest problem in practice would be to persuade organizations to participate in the Coordination, since this would require busy leaderships to allocate resources to tasks that up to now they have left to the SWP. In any case, it is entirely up to the IST meeting in July to accept, reject, or amend our proposal. We think it is really important that SW-NZ sends a member of your working leadership in Auckland to that meeting. Quite apart from your concerns about the proposed Coordination, you have raised important issues about Venezuela that we need to discuss together, as a Tendency. We are willing to offer financial assistance to help bring your representative over. We would really welcome having you fully involved in our discussions in July. Given what you call the ‘tyranny of distance’, direct contact is limited and we would all benefit from having you here in London. Cracks in the Empire- New Unity out now! The New Unity is hot off the presses, at a bumper 160 pages. A guide to Anti-Imperialism, the journal examines the resistance movements across the Middle East, Venezuela and Latin America, complete with a history of the American Empire. Order your copy by texting Joe at 0064 21 186 1450 or email him at solidarityjoe@yahoo.com- an absolute bargain at NZ$5 plus post and packing! I see that the latest NZ Herald-Digipoll found "....most still don't plan to join to begin saving for retirement." Further the report goes on. "A Herald-DigiPoll survey taken after the Budget has found that the prospect of employer and government contributions to participants' saving accounts is proving alluring - but only modestly so." Despite the fact that two-thirds of people who took part in the survey were not in a retirement savings scheme, only 37.2 per cent of these "non-savers" said they intended to join. Talking to workers I meet, there seems to be a feeling of resignation, about having to at some time having to sign up to this. When I ask why, the answer is that they believe that the pension will not exist in the future. When I ask why they feel that, they mention the many references to the unaffordability of the universal pension system that is seen as the accepted wisdom of the last few years. Workers are not so much taken by the carrots offered, but can see the hidden stick. The Internationale was written to celebrate the Paris Commune of March-May 1871: the first time workers took state power into their own hands. They established in the Commune a form of government more democratic than ever seen before. Representatives were mandated on policy questions by their electors, they were recallable at any time and were paid wages that reflected those of their constituents. The Commune was a working body, not a talk shop. The distinction between legislative and executive arms of government was abolished. Marx's Civil War in France is a superb account of the history and significance of the Commune. The Commune was drowned in blood by the conservative French government in Versailles, cheered on by the ruling classes of the world. Workers have adopted a similar pattern of organisation whenever they have challenged the capitalist class for state power: in the form of the Soviets in Russia in 1917; collectives in Spain in 1937; the Workers Council of Greater Budapest in Hungary in 1956; the cordones in Chile in 1973; and, in many respects, Solidarity in Poland in 1980. Barcelona, 3 May 1937, three o’clock in the afternoon – three lorry loads of police and Republican Assault Guards force their way into the central telephone exchange, beginning what became known as the “May Events”. Commonly presented as a civil war within the civil war, the May Events marked the end of a revolutionary process that began ten months previously as a response to the fascist military uprising. The telephone exchange in the centre of the city was a symbol of workers’ power. Run by the anarchist CNT union federation, its workers could control communications between Barcelona and the Republican government in Valencia. It was an intolerable situation for a state that aimed to restore bourgeois order in the rearguard, and wanted to present the civil war as one between democracy and fascism. The decision to assault the telephone exchange had been taken by Rodriguez Salas, the Catalan police chief and Communist Party member. But it has to be seen as part of wider strategy of tension and provocation that the Stalinists had pursued over the preceding months. These had included widespread attempts to undermine the revolution. When the police arrived, workers at the telephone exchange rapidly positioned a machine gun in the building and a stalemate ensued. Out in the streets, as the news of the attack spread, a general strike against the assault was soon under way and thousands of armed workers threw up barricades all over the city. Months of attacks on the revolution had provoked this reaction. Over the next few days the city shook to the sound of gunfire and explosions, with nearly 300 killed in the fighting. Similar events took place elsewhere in Catalonia. In the front line of the fighting were the CNT. The revolutionary socialist Poum joined them on the barricades. Supporters of the Popular Front – Communists and Catalan nationalists – desperately defended government buildings and their headquarters. Striking workers held the upper hand and most observers agree that it would have been relatively easy to take over the few buildings still in government hands. This is what the Poum argued with the CNT should be done. But the anarchist leaders were not prepared to take this stance. The CNT was committed to a policy of collaboration with the Popular Front government, and was desperate to end the struggle that appeared to endanger anti-fascist unity. They appealed over the radio for the workers to lay down their arms and go back to work. The effect of these calls was widespread confusion and demoralisation. Gradually the barricades were abandoned. The Poum, fearing its isolation, felt compelled to follow the anarchist workers. Both the Poum and CNT leaderships even claimed the workers had secured an important victory in resisting a Stalinist–led provocation. Pro-government forces, despite giving assurances that they would also withdraw, strengthened their positions and went on the offensive, storming many workers’ centres and making hundreds of arrests. On the evening of Friday 8 May, 5,000 well armed soldiers arrived from Valencia. Order had been restored. Could the outcome have been otherwise? Certainly the Russian revolutionary Leon Trotsky – who was in Mexico – thought so, as did the radical anarchist group The Friends of Durruti and some members of the Poum. All argued that power should have been seized in Barcelona and that the Popular Front’s counter-revolution could have been stopped in its tracks. Trotsky believed the masses could have easily taken power in the whole Republican zone. But, given the massive forces at the disposal of the government, this is by no means certain. Nevertheless, by retreating, the most militant sections of the workers’ movement had lost a golden opportunity to inflict an important defeat on the counter-revolution now well underway in Republican Spain. As one Poum leader would put it at the end at the war, the May Events were not just a “provocation”, but “the definitive solution of the contradiction that had arisen in July 1936 in favour of the counter-revolution”. Widespread repression was now unleashed on the last vestiges of the revolution and against the most militant sections of the left. The attack by the Lebanese army on the Nahr al-Bared Palestinian refugee camp in north Lebanon has left a trail of death and devastation. The siege has been followed by bomb attacks in Christian east Beirut and the ethnically mixed west of the city. The army claims it is fighting a few hundred militants belonging to a shadowy Islamist organisation, Fatah al-Islam. Yet the army is indiscriminately shelling civilians and turning the homes of 30,000 refugees into a graveyard. There are desperate reports emerging from the camp of homes on fire and bodies in the streets. The emergence of groups like Fatah al-Islam is a direct product of the policies of the Lebanese state towards the Palestinians. For decades Lebanon’s rulers have stereotyped refugees as “criminals and terrorists”. The lives of Palestinians are severely restricted by the state. They are even banned from working in many professions – including education and health. An atmosphere of poverty and despair creates a fertile ground for groups like Fatah al-Islam. Lebanese politicians speak of “terrorist outrages” – denouncing those responsible as “evil people”. Yet these same politicians have unleashed sectarian death squads whenever they feel their power is threatened. Some, including members of the ruling March 14 coalition, took part in a series of massacres during the civil war, which ran from 1975 until 1990. As a result Palestinians are fearful of having their camps undefended, and are often armed, or are members of local militias. The state has been attempting to strip these areas of any protection. It is the Lebanese state that is responsible for this violence, and their actions at Nahr al-Bared will only fan the flames of hate. A friend once said to me that the problem with Labour was it never charted a true course. Instead it was “5 degrees to the left in good times and 20 degrees to the right in bad times”. At the time I thought this was an overly cynical view but 30 years and two Labour administrations later I appreciate it’s fundamental truth. I thought of this when I once read Minister of Finance Michael Cullen’s comments to a parliamentary select committee where he called for “wage restraint”. He was backing up Reserve Bank Governor Alan Bollard who had earlier in the week warned that he would need to put up interest rates if workers received “extravagant” wage increases. However the recent facts point to where the problem lies and it’s not with workers’ wages. The official inflation rate for the year to March 2006 was 3.4% but over the same period wages increased by just 3.1%. In other words working New Zealanders are continuing to go backwards and suffer cuts in their real take-home pay. At the same time those on the biggest salaries received increases well above the inflation rate. Alan Bollard himself received a 7% rise – a $30,000 increase, while Cullen received an 8.1% increase – up $18,300. When talking extravagant these men need to look in the mirror. Wealthy New Zealanders continue to race ahead while the average wage has decreased in real terms by 20% in 20 years. A good example are our cleaners. Just a few weeks back the largest contract for cleaners in the country was settled for a two-year term. These workers have received just a 35c per hour increase this year and will get a 35c increase next year. Unlike Michael Cullen, these low-paid workers are effectively getting a pay cut because again their pay increases are less than the rate of inflation. Under Labour these cleaners had a right to expect a better deal. Not just because Labour claims to represent the interests of people on low incomes but because no less than seven current Labour MPs were once officials of the Service and Food Workers Union which represents cleaners. These MP’s (Lianne Dalziel, Mark Gosche, Sue Moroney, Taito Philip Field, Dave Hereora, Rick Barker and Darien Fenton) may have entered parliament with the most honourable intentions towards working New Zealanders but have failed to stem the slide in wages, let alone chart a new course for the economy. From a distance their union work seems to have been simply a stepping stone into parliament with their commitment to the low-paid left on parliament’s steps. Labour can’t used economic excuses for the failing to address the plight of working New Zealanders. The party has overseen six years of strong economic growth but working New Zealanders have continued to slide further behind. Is Labour’s real role just to keep working New Zealanders quiescent and pliable? It seems so. There has been barely a ripple from Cullen’s comments. National are hardly going to complain when their business backers are those who will benefit the most from wage restraint but similarly outside parliament. Carol Beaumont of the Labour aligned Council of Trade Unions described Cullen’s comments merely as “unfortunate”. She said it was unfair to expect workers to “magically deal with inflation by themselves”. True enough but hardly a voice ringing in support of those who can’t earn enough in a 40-hour week (or even a 60-hour week) to support their families. Once upon a time Labour MPs would have led the charge for low-paid workers but Labour now expects, as a matter of course, that those on basic wages will continue to make sacrifices to keep high income earners like Cullen and Bollard in clover. What about CEO salary restraint? What about politician salary restraint? What about profit restraint? Or dividend restraint? Or even price restraint? What about sharing the economic pain? Instead Labour talks only of wage restraint. This party is a vivid blue imitation of what it once was. It’s entire purpose now appears to be to keep National out of power rather than driving forward and charting a new economic direction so desperately needed across our middle and low income communities. It has now charted a course which is 90 degrees to the right even in good times. The problem with Labour grows by the day. Where is NZ Labour going? Over the past century, socialists worldwide have often called for a "class vote" for social democratic and Labour parties. That's because these mass reformist parties, while elitist and pro-capitalist, were profoundly influenced by the union hierarchy and did in a distorted way embody workers' hopes for a better world. Some socialists in this country still hold this view of NZ Labour, which they call "the mass party of the working class". According to others, the very opposite is true. NZ Labour, they insist, is a capitalist party in exactly the same mould as National. These two viewpoints, we believe, represent a false choice. There's another viewpoint which we put forward in this article. NZ Labour is no longer a traditional reformist party, giving voice to some working class interests, although always within the narrow limits allowed by capitalism. But neither has it become a carbon copy of National, a neo-liberal party of business for business. Increasingly, NZ Labour is a party not of unions or of business, but of lawyers, administrators, "creatives" and others from the new middle class. The party's new rulers support social reforms dear to their heart, but embrace neo-liberal economics which kicks the working class in the guts. This fusion of social reforms and neo-liberal economics gives us a label for NZ Labour today: social-liberal. While this transformation isn't yet complete, since union leaders retain some influence in Labour on some issues, it is so well advanced that only a political earthquake could reverse it. In the six decades between the First World War and the 1970s, the world's social democratic parties ditched even the rhetoric of class struggle and made their terms with capitalism. During the long boom of 1945-75, big business bought social peace and economic stability by allowing reformist governments to siphon off a portion of their record profits into the welfare state. When global capitalism's profit crisis struck in the mid-1970's, social democratic politicians everywhere were faced with a stark choice. They could cut social welfare, bankroll the markets and attack workers' rights. Or they could organise a mass fightback against capitalism's rulers. David Lange's Labour government, elected in 1984, chose the path of market extremism. These Rogernomes hammered the working class. They engineered the biggest transfer of wealth from the poor to the rich in New Zealand's history. Global capitalism demanded that its crisis be paid for by the working class. And social democratic parties were too wedded to co-managing capitalism to even think of fighting back. Centre-left governments in New Zealand, Australia, France, Spain and elsewhere downsized the welfare state, privatised state industries, deregulated currency speculation, axed tariff barriers, backed corporate globalisation and handcuffed the unions. Elsewhere, this neo-liberal strategy was driven forward by arch-conservatives like Ronald Reagan in America and Margaret Thatcher in Britain. Today's Labour Party is dominated by lawyers, administrators, academics, professionals, artists, designers, researchers and others from the new middle class. They play an important role in late capitalism's information technology and global production. The new middle class aren't direct exploiters of workers, nor do they have a boss breathing down their neck all day. They form a layer between capital and labour, often mediating between these two main classes. During the 1980s, as the ruling Rogernomes steamrollered over the union movement, the new middle class began to take control of Labour. They sponsored the extension of gay, Maori and women's rights and other social reforms that expanded their social influence and fitted with their notions of individual justice. Since the social privileges of the new middle class hinge on their usefulness to capitalism, most of them embraced corporate globalisation. So their social reforms came at the price of seriously worsening the collective position of the working class. In reaction, Maori settlements and civil unions are now widely seen as Labour giving rights to special groups while workers are ignored or worse. National's sneers about Labour's "political correctness" tap into this pool of resentment. It would all be different if these social reforms went hand-in-hand with Labour giving workers more pay and more say. But such a challenge to capitalist profits and power could only come from a party embedded in jobsites and unions which drew on the militant traditions of workers. And NZ Labour simply isn't that party. NZ Labour was formed in 1916 by unionists and socialists as a parliamentary opposition to capitalism. Harry Holland, who became the party's first leader, told a by-election meeting in 1918 that he accepted the label "Bolshevik" since Lenin's socialist party had "stood true to working class principles". Holland's words didn't stop him being voted into parliament for the first time. In the general election a year later Labour won a quarter of the total vote, bolstered by a wave of strikes and the birth of the Alliance of Labour, a union federation that talked tough. In 1925, however, Communists were banned from holding dual membership in NZ Labour. This split marked the party's shift from democratic socialism to social democracy, which pledged to limit working class ambitions to what capitalism could live with. From that point on, NZ Labour was clearly a two class party. The union leaders who dominated the party pushed for practical measures to improve the position of workers, but in return pledged that Labour would be a "responsible" manager of capitalism. 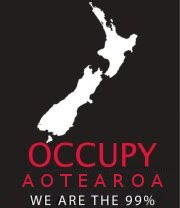 Over the past 20 years, New Zealand's union movement has been ravaged by waves of attacks from government and business. A weakened union hierarchy has been shoved well into the background of the Labour Party by the new middle class. This process is now so well advanced that UNITY's survey of union activists found that two-thirds believe unions have either little influence in Labour (48%) or clearly not enough (18%). The largely-completed transfer of power within Labour from union leaders to the new middle class marks the party's shift from social democracy to social liberalism. Labour remains a two class party, committed to marrying neo-liberal economics with social reforms wanted by the new middle class. It's just a different type of two class party than it was from at least 1925 to fairly recent times. According to Marxists, the working class comprises three-quarters or more of New Zealand society. These are both "blue" and "white" collar workers in factories, hospitals, restaurants, schools, transport, banks, shops and elsewhere who labour under the direction of capitalism's bosses and bureaucrats, plus non-working family members. But social liberalism, reflecting the viewpoint of the new middle class, denies there is any such thing as the working class. Therefore the union movement is seen by social liberals as just one more minority group with the right to put its case, but certainly no right to speak or act on behalf of the vast majority of society. So the shift of power within Labour has major implications for workers. The sidelining of union influence within the party, coupled with the external pressures of corporate globalisation, mean the limited reforms once offered by Labour governments to workers are now largely a thing of the past. It's true that, to get returned to government in 1999, Labour had to promise workers some concessions, but they were extremely limited. For instance, repeal of the Employment Contracts Act gave union officials the right of entry to workplaces, but all except one of National's harsh bans on strikes were retained. Moreover, promises made in 1999 often sounded much better than what actually happened. While accident compensation was re-nationalised, for example, ACC is now run as a tight-fisted, profit-making corporation little different in practice to private insurers. And some policies which Helen Clark claimed credit for were actually the result of Alliance pressure inside her coalition government coupled with union campaigns outside. Paid parental leave and an extra week's holiday fall into this category. Since enacting its 1999 promises, Labour has done many nasty things to workers. A couple of current examples: Labour won't lift the minimum wage to $12, saying low-paid workers must wait until 2008 and then cabinet will see if the bosses can afford it. And Labour is negotiating a free trade agreement with China which, warns the Council of Trade Unions, could have "devastating effects" on hundreds of thousands of NZ workers. Even Labour's "Working for Families" package, while putting some state cash in workers' pockets, takes pressure off bosses to lift lousy pay rates. It's another tool for Helen Clark's government to consolidate a low-wage economy while reaching out for working class votes. But such political deceptions are hard to maintain for long. Labour cannot be changed by working quietly, or even noisily, on "the inside" of the party. Many leftists have tried that strategy since Rogernomics, and all have failed. But could the growth of workers' struggles strengthen union influence inside Labour once again and turn the party away from social liberalism? While that's possible, it's more likely that a workers' revolt would create a damaging split inside Labour which fed into a powerful challenge by another party. That was certainly the experience of the Alliance days, when workers' hatred of Rogernomics fueled a left-wing splitaway which seriously challenged Labour for several years. The Greens and Maori Party oppose large parts of Labour's neo-liberal economics. They do so, however, not as elected representatives of the union movement, but from the standpoint of Green ecology and Maori nationalism. Right now, the working class is left without a political voice in parliament. What's needed is a new political movement based in jobsites and unions, whose activists are solidly of and for the working class and whose objective is to replace corporate power with a grassroots alternative. The Bolsheviks are in the Cherry Orchard. The two heavyweights of 20th century Russian theatre go head-to-head in Wellington at the beginning of next month. On the night of Saturday, June 2, Anton Chekhov’s elegiac Uncle Vanya will be ending its run at Circa, while on the previous Wednesday at Studio 77 Maxim Gorky’s explosive Enemies will open for a short five-night season. Chekhov was middle class, educated, good-humoured, gentle—a country doctor. Gorky was poverty-stricken, untaught, suicidal, bitter—a bum, living on the margins of society until he discovered he could write. Chekhov wanted a gradual transformation of czarist despotism into an enlightened, liberal society. Gorky wanted a revolution and suffered imprisonment for it. Gorky was the younger man, by eight years. He had been born into poverty, run away as a child, tramped about as a migrant worker, been driven to despair and a suicide attempt. Gorky revered Chekhov. Chekhov had the magic touch, a simplicity that revealed the complex, an irony which rebuked a class. Chekhov advised the apprentice to show restraint in writing, to keep his descriptions short and compact. Gorky was the humblest of petitioners. “I am as stupid as a locomotive,” he wrote. Chekhov warned him against getting up on his high horse, instructed him that characters should have a life of their own and not be just illustrations for a tract. He tried to convince Gorky that he didn’t need to be in a revolutionary party to improve people’s lot. Gorky readily took the literary advice but remained unconvinced of the political. He continued an involvement with Lenin’s Bolsheviks and remained on the files of the secret police. In 1901 he visited Chekhov in the Crimea, spending a week with him. A police agent following Gorky hung around outside the house. The following year Gorky wrote his stunning stage account of life at the very bottom of the underclass, The Lower Depths. It was vivid and violent. Directed by Konstantin Stanislavsky, it took Moscow by storm. Nearly fifty years later, in February 1951, when Wellington was about to be wracked by a massive and bitter dispute on the waterfront, it was Gorky’s Lower Depths that the left-wing Unity Theatre was rehearsing. In Moscow Gorky became lionised, but his fame was still not enough to prevent him again being picked up by police and jailed, accused of trying to set up a revolutionary government when strikes and shootings rocked Russia in 1905. He was released, helped found the first legal Bolshevik newspaper New Times and then, in December, was in the thick of a Moscow general strike, helping distribute rifles to strikers. Following the strike his position was precarious. He went into exile, travelling to the United States on a fund-raising tour for the Bolsheviks. He had begun depicting the middle class that flocked about his theatrical successes, the wavering class caught between social forces and depicted with such melancholy by Chekhov. The setting of Enemies is Chekhovian: a country estate, an extended middle class family. But this is a family that has chopped down Chekhov’s cherry orchard and erected a textile factory on the land. Their idle life is broken by a dispute in the factory. A virulent manager and co-owner has been on vacation and in his place a more liberal family member has made concessions to the workers. As all trainee Wal-Mart managers know, give the workers an inch and they’ll take a mile. The manager returns to find an increasingly bolshie work-force. Like Australasian supermarket giant Progressive Enterprises last year, the manager decides to give the workers a taste of lockout. For his sins he is shot dead. Military police arrive. The family is dismayed and divided. Radicals move to consolidate a presence in the factory. When Enemies was given an English production by the Royal Shakespeare Company in 1971, a critic described it as “the missing link between Chekhov and the Russian revolution”. And clearly it is. The Bolsheviks are in the Cherry Orchard. Wednesday, 30 May until Sunday, 3 June, 7.30pm. He will, of course, be remembered above all for one thing – Iraq. And rightly so. In hitching this country to George Bush’s messianic “war on terror” Tony Blair committed a bigger foreign policy blunder than the Suez debacle in 1956. He is leaving office three years earlier than planned thanks to the resistance to the war both here and in Iraq. The anti-war movement may not have been able to stop the war, but it has curtailed the bellicose ambitions of the US and Britain, and it has forced Blair out. And in the dying hours of his premiership Blair tells us he is speaking with “total frankness” – which sort of breaks the habit of a lifetime. What he has to say is chilling. Violence among some young people in our inner cities is not to do with society, he says. It’s beyond society, outside society, inexplicable through recourse to social factors. You see, it’s about young black men acting on passions that have no rational explanation and which are alien to society. I’m not sure about frankness, but this is a total obscenity from someone who occupies the office of a Labour prime minister. It is, however, where this sorry will ’o the wisp of Blairism was bound to end up. We didn’t know just how bad it would be, but some of us on the left knew where he was going back in 1994 when he assumed the Labour leadership following the tragic death of John Smith. I remember leading the “no” side in the debate over scrapping Clause Four at the Scottish Labour Party conference that followed. Almost mystical powers have been attached to that clause of the Labour Party’s constitution that committed it to public ownership. It didn’t, for sure, prevent previous Labour disappointments, inadequacies and betrayals. But scrapping that commitment was about establishing a line of march away from Labour’s social democratic past towards the full embrace of neoliberalism. You may remember the fanfare at the time. We were going beyond left and right. It was the dawn of a new age. We were all stakeholders in a land of entrepreneurship and the rigors of the market. For the many, not the few, we had to abandon 100 year old socialist concepts and embrace modern, forward looking 200 year old pro-capitalist ideology. Professors wrote books which journalists pretended to read. By now – nearly a decade and a half later – the world of politics was supposed to have changed beyond all recognition. Well, there’ve been many changes, but they are at odds with the platitudes of Blair and Brownism. Instead of restoring popular faith in politics, Blair has presided over increasing cynicism and alienation among the electorate. He has halved the Labour Party’s membership. The wealth of the richest 1,000 people in Britain (including 65 billionaires) has increased by 20 percent in the last year. Meanwhile, the number of children living in poverty is rising. 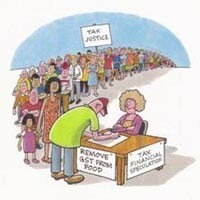 Gordon Brown’s last budget obliterated any claims his claque might make that he is a great wealth redistributor. That reputation had rested on him shifting a small amount of wealth from better off working people and worse off middle class people to the very poorest people with children by means of tax credits and benefits. This year, he reversed that process by scrapping the 10p tax rate which helped the poorest people the most. In foreign policy, Blair has led us into more wars in a shorter period than any British leader in history – royal or common. He’s rehabilitated the discredited doctrine of liberal imperialism. In its wake has come a resurgence of repellent, illiberal doctrines at home. New prejudices and old ones have been given a new lease of life. The racist demonisation of Muslims now operates in every register from the gutter to the after dinner banter at posh parties. Blair has managed to make the rancid Tories – so despised ten years ago – not only seem electable, but become the frontrunners. This is what has become of Labour under Tony Blair. Internally the left of the party has never been weaker, with veteran socialists standing down at the next election and no younger generation of left wing MPs set to replace them. In the wake of the elections last Thursday and Blair’s departure it is time for the left not merely to consider where we are, but to act. We are at a watershed. Politics is intensifying and speeding up – as it did in the run-up to the war in 2003, as it did when we came together to launch Respect a year later and, the year after that, to make a historic breakthrough in the general election. Just as Blair’s ascension to power was accompanied by an assault on socialist and progressive positions in the unions, in university departments, in the media and in every area of public life, so his departure must signal a co-ordinated and systematic left fightback. The declaration by major unions that they will not accept Brown’s 2 percent pay curb is a welcome first step. Blairism out of our movement. Everyone knows that will mean a confrontation with Brown. I suspect those who want to give Brown a chance – if only out of relief that Blair has gone – know that too. There may be some clashes in the Labour Party, in which case those of us who are building a left electoral alternative will, as we have always done, give our support to the left. But with Brown set for a coronation, and the left of the party in a parlous state, that battlefield will be far from the main front. It is the Blairite ultras who are organising the stronger, right wing opposition in the Labour Party. My appeal to all those who want to see the back of Blairism is to come together to take the initiative over the coming months. We should discuss exactly how to do that, confident that the right – from New Labour through the Tories to the filth to their right – can be beaten if the left offers hope and a fighting movement for change. I hope that many more are convinced to join us directly in building on the successes of Respect so far. But we want to work constructively – in the anti-war movement, in the unions, in a fight for progressive ideas – with those who are not yet convinced. It is with mixed feelings that I look at what Blair and Brown have done to Labour. As one of the leaders of Respect I know that Labour’s election losses last week are a necessary condition for our coalition to advance. But as someone who gave almost the whole of my life to building Labour and defending its ideals it is deeply wounding to hear that name spat out with such contempt by so many people. It is time for the left to rally to ensure that the disaster of Blairism is not followed by something even worse. That means not trimming our sails. The stronger the movements against Brown and the stronger the left alternative at the polls, the more he will not be able to take working people for granted and the more the left as a whole can advance. Oppose NZ Defence ties with Indonesia!